Certain memories of one’s childhoods never fade away. For me, every summer vacation Mom used to take us from Gujarat to our Nani‘s house in Banaras. Every morning me and my cousins would go to Gangaji for a bath and while returning jam kay bhook lagti thi and Nani used to keep this dish ready for us to eat. Believe me, simple kaddu ki subzi and puri would give us so much happiness. My Nani was widowed at a very early age so she had very limited resources. She use to cook on a chulha, and we kids would surround her and sit, while she made garam garam puris and serve us in kuut ki thali (brass thali). Sometimes, I feel kaash time machine hoti movies ki tarhah and I could relive those days once again. 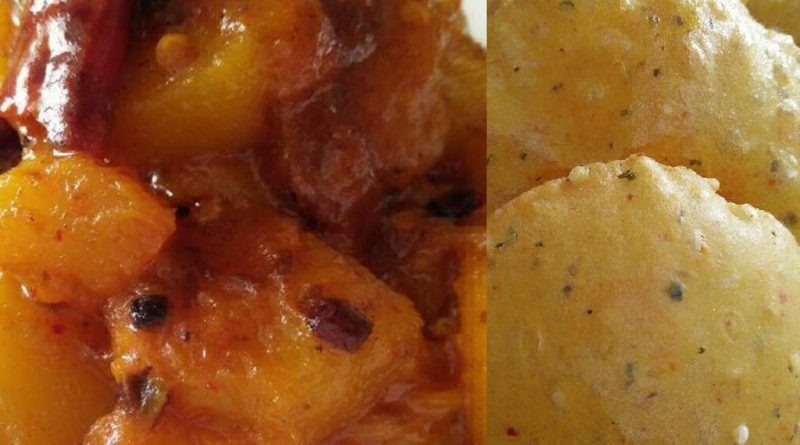 So today was my lunch, banarasi kaddu ki khatti meethi subzi with masala puri. Add oil in a kadhai and heat till it starts smoking. Switch off the flame and wait for a minute or two, so the oil cools a little and doesn’t burn the spices in the next step. Add jeera, hing, methi dana, dried red chillies and green chilies. When the mixture becomes aromatic, add kaddu, salt, haldi and 1/4 cup water. Cover and cook till almost (80%) done. Add gur, chilli powder, amchur, rock salt. Cover and cook on a very slow flame till the oil separates. Serve hot with masala puris. When removing the skin of the pumpkin/kaddu, don’t remove too much. Use a peeler not a knife. The distinctive flavour of this dish comes from the sarson ka tel, gur, methi dana and rock salt. An iron kadhai is best for cooking this dish. This is a great dish for a weekday dinner or even when you're entertaining.